Our operators either use low moisture foam or extraction cleaning methods. This cleaning process is a very thorough low moisture system which enables us to have very fast drying times. 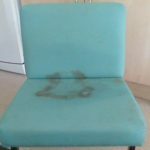 The upholstery can often be dry by the time we leave! First of all, we thoroughly Pre-Vacuum to remove any loose dirt and dust. A misting of a safe water-based pre-spray is applied and agitated with a soft horse-hair brush. This enables us to effectually break down any surface grease and soiling. Using such a precise method makes sure that the padding and stuffing does not get wet. Your soft furnishings will recover the brightness of the colours and be dry very quickly! All this is backed up with our no quibble 100% money back Guarantee!As we don’t use solvents or detergents there is no sticky residue that can cause re-soiling. 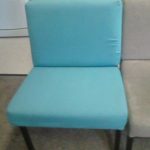 We can then apply our protection to safeguard your furnishings from spots and spills. All of our operators are ‘Owner Operators’ that have invested several thousand pounds into their area and business, thus they have a vested interest in providing you with the best care, product and delivery. This is not ‘just a job’ to them, if you don’t pay they personally loose the income, what better guarantee can you have than that?